ISLAMABAD: Minister for Information and Broadcasting Chaudhry Fawad Hussain Wednesday said notice had been issued to Senator Mushahidullah Khan for misuse of power during the last government. Talking to a private news channel, he categorically said that he would not apologise to Mushahidullah today or tomorrow regarding his conversation in the Senate. The minister said all the national institutions including bureaucracy were answerable before the parliament. ISLAMABAD: Oct 10  Federal Minister for Information and Broadcasting Chaudhary Fawad Hussain talking to media. Fawad Hussain on Wednesday tweeted the details of the family members of PML-N Senator Mushahidullah Khan had employed in the Pakistan International Airlines (PIA). In a tweet the minister shared a document showing the names and details of induction of the family members of Mushahidullah Khan in PIA. As per the Tweet, Mushahidullah Khan himself joined PIA as a loader in February 1990, and resigned in May 1997, as a passenger service supervisor. His brother Rashidullah Khan joined PIA in June 1978 as a traffic assistant and in 2007 worked as deputy general manager, commercial department and was nominated as a country manager New York and retired from PIA in August 2016. Another brother of Mushaidullah Khan Sajidullah Khan is presently posted as PIA’s Station Manager in London. He has served five years of his tenure in foreign posting, instead of three years. He was posted in Birmingham as station manager for three years and he was also awarded Chauffeur Drive Business to M/s ARL Services violating PPRA rules resulting in pound 67,000 ad hoc payment. 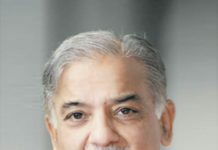 His cousin Mutiullah and brother-in-law Ahmed Nadeem Pasha are also PIA employees and the latter is currently working without assignment. Promotion of Ahmed Nadeem Pasha from PG-VI to VII was not processed as per corporate rules. Senator Mushahid Hussain categorically denied all allegations and addressing at Senate, he said that whatever fawad Choudhry has said is total rubbish and nothing but political victimisation. According to a media report, Sajidullah Khan has received the notification of transfer on Wednesday afternoon. He termed it “political victimisation” by the PTI government. 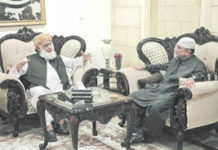 “I have been transferred back to Pakistan without the PIA head office sending the replacement to London just to victimize me because I am brother of Senator Mushahidullah Khan. It is the example of worst political victimization of PTI government. It’s the party that came into power on the promise that it will not interfere in matters of institutions but I have been singled out by the government after being maligned in maligned in the parliament by the Information Minister on false grounds,” he told that scribe.